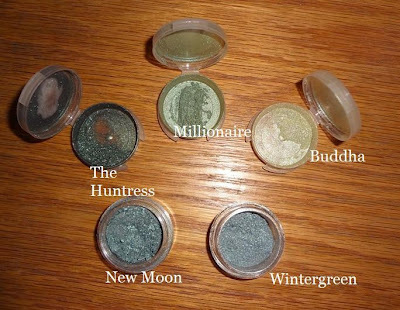 I've been in a really colorful, well blended, gradient eyeshadow mood lately... so this is suiting me perfectly. And with these shadows, this was a snap to do. They blended together effortlessly. This brand is turning out to be one of my new faves! ♥ Twilight Femme Fatale lip gloss in Renesmee. There you go!! I hope you have a wonderful St. Patrick's day and an awesome March! Ooo la la this is beautiful look. I would wear this any day. really pretty eye look! 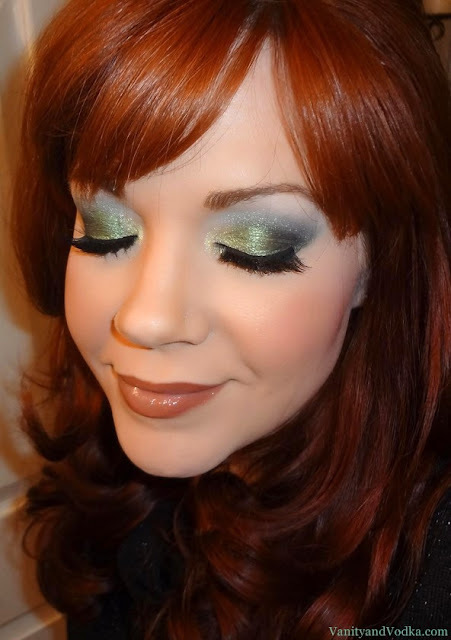 definitely inspired me for some st. patty's day makeup! Yay! So glad you like it, Ariel! Happy St. Patty's day! Oooh girl!! Loving this look all the way from Cleveland! Green shadows are some of my favorites! Wow your lashes are amazing!! 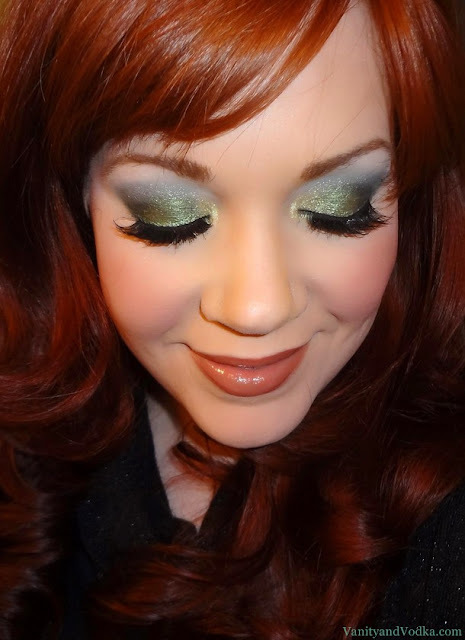 This colour looks lovely on you, I must try those eyeshadows out! Thank you, Jenn! Yes! The shadows are lovely!! Thanks, Jessica! Happy St. Patrick's Day! xoxo! Thank you Goddess Lily :-D !! xoxo! Wow! This is such a gorgeous look!!!! Green looks amazing on you! Christal thank you so much!! I'm so glad you like it! xoxo! Wow your eye makeup is amazing... so is your skin! Damn girl!! You are gorgeous... loving that ombre eye shadow! Thank you!! You are so sweet!! You makeup is flawless! Beautiful shadows! Follower now through ALoha. This look is absolutely fabulous! I am so jealous of your skin and hair...and the fact that everything in this look coordinates so well with each other! THANK YOU!! You are so sweet to say :-) Thank you so much!! Why you gotta be so gorgeous and talented?! I love the subtlety of this look! Green, but not crazy green. Lol. Oooh we have the same name! YES WE DO!!! WHOA! Campbell is even my MAIDEN name!! I'm very happy I found your blog on Aloha Friday blog hop! Thank you!! Wonderful :-) Aloha to you! Wow! You certainly know how to apply makeup! I love the colours. Beautiful pictures. Thanks for becoming a Follower of my Blog. I am happy to follow back. Thank you Judy, you are too sweet! Thank you!! Done and done! Thank you Jordan!! LOL!! Appreciate it! I just found your blog on the Aloha Friday Bloghop and I'm not even a beauty blogger but I'm still fascinated by your makeup skills. And I'm obsessed with how good your skin is! I want! But not in a creepy way. Just in an envious way. Swear. Your blog is adorable... I'm not a food blogger, but those brownies look amazing!!! New follower! Thank you so much, Traci!! You as well! xoxo!